The Concrete Industry Management's Silent Auction Is Just Around the Corner - Register to Participate in Helping to Shape the Future of the Heavy Building Materials Industry! There is a severe shortage of skilled labor in the heavy building materials industry. For the industry to thrive, a huge influx of new talent is needed. Command Alkon, along with many other contributing sponsors, is helping the Concrete Industry Management program combat this shortage by participating in the program’s annual silent and live auction. The 2018 CIM Auction will be held on Wednesday, January 24 during the 2018 World of Concrete at the Las Vegas Convention Center. The silent auction will be held from 11 a.m. to 12:45 p.m. in room N263 and the live auction begins at 1 p.m. in room N262. Proceeds from the auction will support CIM’s educational programs, and help fund scholarships for students pursuing a four-year Bachelor of Science degree in Concrete Industry Management. From the time of its development in 1996 at Middle Tennessee State University, the program has expanded to New Jersey Institute of Technology, California State University – Chico, and Texas State University. Graduates of the program are given the skill set necessary to meet the growing demands of the progressively changing industry. To learn more about the program, visit their website. As in previous years, one of Command Alkon’s COMMANDbatch systems will be auctioned off at the event. We are very proud to support CIM’s program and the concrete industry’s leaders of the future. 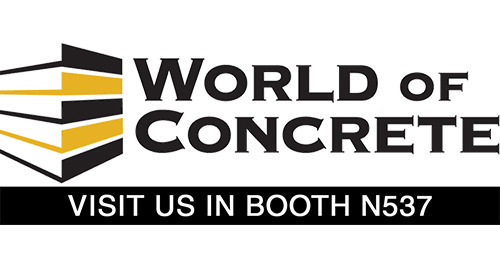 Visit Command Alkon at the World of Concrete in the North Hall Producer Center, Booth N537. ​Because so many donors are stepping up to support the program, this year's auction has the potential to be the greatest auction that the CIM program has held to date. Check out this article from Concrete Products for more details.